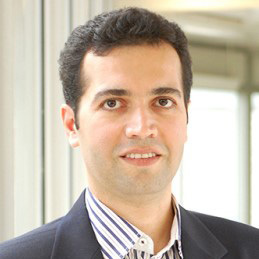 Dr. Yaser P. Fallah is an associate professor and the director of the Center for Research in Electric Autonomous Transport (CREAT) in the Department of Electrical Engineering and Computer Science at the University of Central Florida, where he joined in August 2016. He received his B.S. degree in electrical engineering from Sharif University of Technology, in 1998, the M.Sc. and Ph.D. degrees from the School of Electrical and Computer Engineering, University of British Columbia, Vancouver, CA in 2001 and 2007, respectively. His research interests lie in the area of Cyber-Physical Systems and Vehicular Communication and Safety applications. Dr. Fallah has authored and co-authored more than 100 peer-reviewed journal and conference articles in his field of expertise. He has received an NSF CAREER Award in 2015. He is an editor of IEEE Transactions on Vehicular Technology.